Technology is one of the most expensive investments for any business and tacking smaller but helpful items onto the budget list can be difficult if your company, like most, is trying to cut down their budget. Everyone likes free tools and the good thing about the technology world for consumers of all sizes is free programs and free software. They might not always be easy to find or easy to trust, but there are developers out there who like to give their tech away for free. These free tools all offer a little more insight into your network and gives you a more in depth look into who is access it and why. iPerf is a multiplatform tool for active measurements of the maximum achievable bandwidth on IP networks. It supports tuning of various parameters related to timing, buffers and protocols (TCP, UDP, SCTP with IPv4 and IPv6). For each test it reports the bandwidth, loss, and other parameters. It determines the quality of connections between devices on a network. It’s valuable for testing the suitability of a link for VoIP. It can graph the data it gathers to see how network conditions vary over time. Wireshark is a network protocol analyzer that lets you see exactly what’s happening on your network down to the smallest possible level. It checks for malformed frames, mis-ordered packets and other small things that can go unnoticed in your wireless network. You’re able to write your own rules and dictate exactly what the program is looking for. This can be especially useful if your network has infrequent bursts of the same problem. TCPTraceroute is traceroute implementation using transmission control protocol (TCP) packets which provide reliable, ordered, and error-checked delivery of a stream between applications running on hosts communicating over an IP network. TCPTraceroute traces paths through networks in order to find what’s blocking traffic. This can come in the form of firewalls doing their job too well and unintentionally blocking traffic you need to get through. It helps you trace the path of traffic leaving your network so know exactly where your network is being accessed from. Nmap or Network Mapper is a free open source utility for network discovery and security auditing. Many systems and network administrators also find it useful for tasks such as network inventory, managing service upgrade schedules, and monitoring host or service uptime. It determines what hosts are available on the network, what services those hosts are offering, what operating systems they are running, what type of packet filters/firewalls are in use, and more. Nmap was built for large networks and gives you valuable information for you to base major and minor network initiatives on. Smokeping keeps track of your network latency and packet loss. This data can be analyzed over time to clarify changes that can be used for troubleshooting or network planning. It does this by firing off Ping packets at regular intervals and recording the response times. Spikes that show up on graphs of the data gathered indicate when response-time troubles arise and can help narrow down investigations into their causes. For more free tools, check out this article by Tim Greene for Network World. 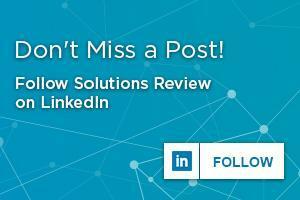 Solutions Review brings all of the technology news, opinion, best practices and industry events together in one place. Every day our editors scan the Web looking for the most relevant content about Wireless Networks LAN/WAN and posts it here.